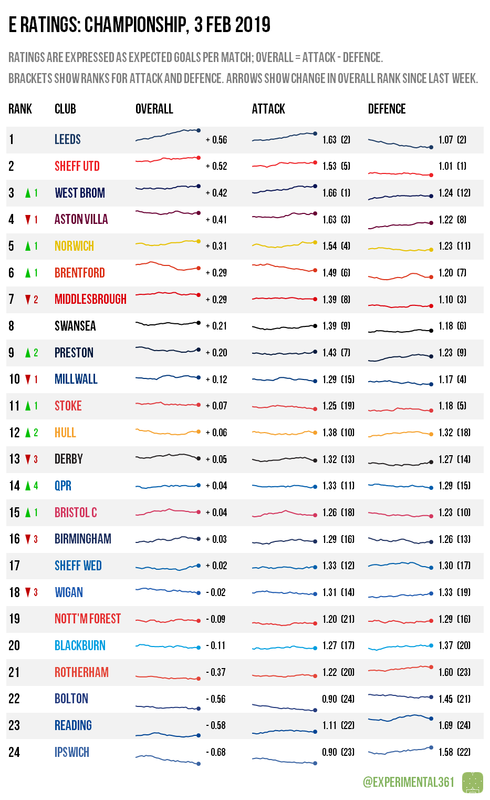 Despite their defeat at the weekend, Leeds remain the top-rated side in the division, although it’s Sheffield United rather than new league leaders Norwich who look to be their closest rivals here. The current bottom four in the actual league table are also the standout four worst performers here, with Ipswich‘s ratings continuing to sink worryingly. Leeds remain title favourites but the other two members of the current top three look capable of running them close. 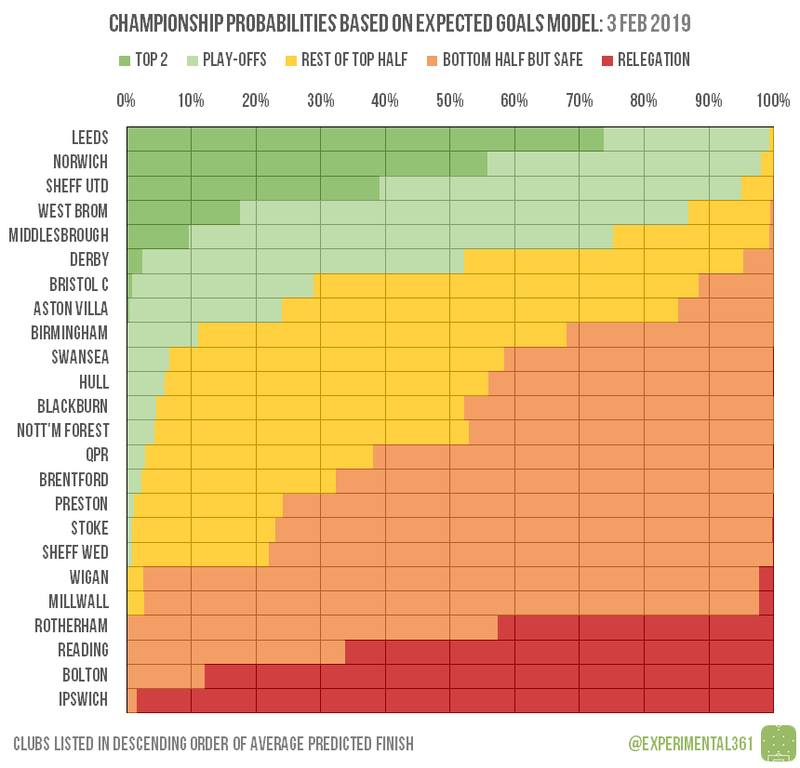 Derby‘s recent decline (visible in the first chart) means that the final play-off place is increasingly up for grabs, and with the model also not convinced by Bristol City this season there could still be time for Aston Villa to make a late promotion dash.